Hearing of Tariq Aziz’s death sentence this week, I was reminded of another individual in history who, despite years of being a diplomat, hadn’t quite gathered enough about politicians or human nature to know that you don’t turn yourself in when your government falls. 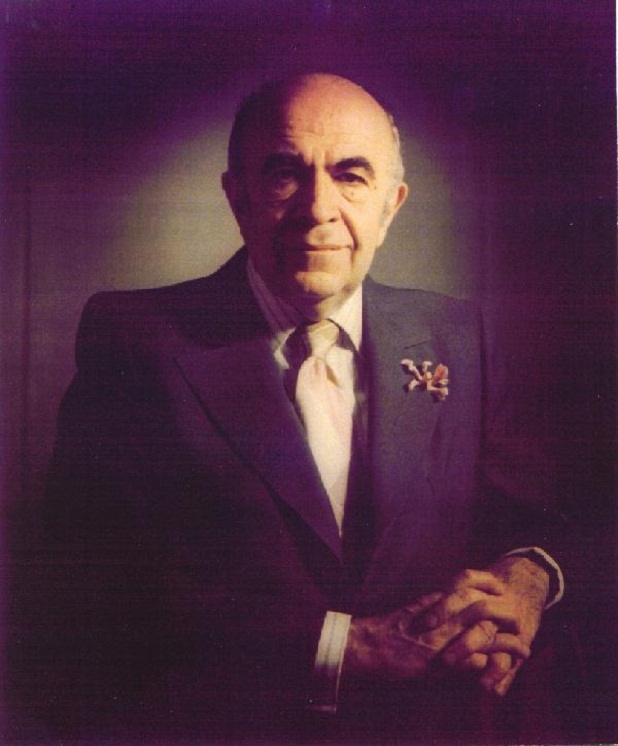 His name was Amir Abbas Hoveyda. He was the last Shah of Iran’s longest serving Prime Minister – over 13 years of service to a man who famously took his dog but not his top man as he fled Iran in the wake of the 1979 revolution. Hoveyda, like Aziz, could – if one were seeking to see the positive side of a critical error in judgement – be seen as naive. A person unjaded by decades of interacting with some of the world’s most unpleasant personality types: the naturally insincere sorts who are master manipulators, tactical followers, and whose greatest possession is an uncanny impetus to disguise their true natures until such time as opportunity knocks for promotion. But at some point, it’s naive to assume he was naive. Hoveyda was in politics and diplomacy for over 35 years by the time he was executed. Here was a man who couldn’t make an informed judgement about the security of his own life and the value of his unwritten memoirs – what kind of irreversible judgements had he made about the fate of the millions of Iranians he governed over for decades? Hoveyda, like Aziz, should not have been in politics. At the top ranks of government only two sorts stay in power for long: the shrewd (and thus inhumane) and the harmless fools (who rub the fragile egos of the shrewd). Neither of these sorts are qualified to govern people, which is why most systems of government are a failure when it comes to the welfare of their people. A healthy government system would prevent individuals from wielding power for more than one or at most two terms. An unhealthy system either overtly keeps these types of people in power or recycles them throughout the system, never prohibiting their influence for long. Kind of like how Donald Rumsfeld never went away: from Chief of Staff under Ford to Secretary of Defense under George W. Bush. Sadly for Hoveyda, he may not deserve to be mentioned alongside the likes of Rumsfeld in an article. He was, by all accounts, a pleasant man. Years ago, in conversations with Hoveyda’s brother Fereydoun, I came to understand the man from the view of someone who adored him. He was gentle, Fereydoun said. He was kind and forgiving. Even then, decades after Hoveyda’s death, Fereydoon became emotional at the mention of his brother. The loss was scarring, but perhaps more so was the anger, the pleading voice in Fereydoun’s mind, wishing he could have advised his brother to leave the country like most of the rest of the Shah’s men had done. In an interview in the Ayatollah’s prison just 5 weeks before his summary trial and execution, Hoveyda, in perfect French, spoke haltingly when given the chance to describe his true feelings about the Shah who had him imprisoned just before fleeing the country. Journalist Christine Ockrent’s questions – like those of many “Western” journalists who interview “Eastern” leaders critically but who fall short when it comes to their own leaders – as disrespectful as they were to a prisoner trapped in a cell, invited Hoveyda to reveal his anger toward the Shah. But he persisted in his diplomacy. Twiddling his thumbs, understandably agitated, literally cornered, Hoveyda finally admitted that perhaps the Shah had made a scapegoat of him. After decades of either pure ignorance of the Shah’s crimes or purely ignoring them, Hoveyda once again refused to give the monarch due credit for his deeds. But worse than his hesitancy to break out of his diplomatic shell at the eleventh hour was Hoveyda’s failure to realize until it was too late that his life would be worth more to Iran than his premature death. It is known that several times during his imprisonment Hoveyda mentioned how he’d like to write his memoirs. In later years Fereydoun Hoveyda stated repeatedly that his brother “gave his life for Iran” but in person he lamented, as many Iranians do and many Iraqis will similarly if Aziz is executed, the loss of Amir Abbas Hoveyda’s unwritten memoirs. Like Aziz, Hoveyda had much to tell which no one else could. Like Aziz, Hoveyda’s memoirs would have been damaging to history as it is told by its victors. While it is debatable whether they stayed for admirable reasons or for reasons of pure delusion, it is clear that both of these men, despite long and illustrious political careers had become so mired in illusions of power that even after losing it, they failed to gather their senses and their natural instincts together in time to secure their survival. If such men died for integrity, for their country, it was too little too late – their memoirs would have been more valuable to their people. 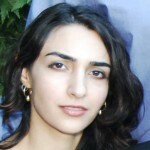 Shirin Sadeghi is an Iranian-American writer and Middle East Consultant. She is a regular contributor to the Huffington Post and has previously worked as a Producer and Reporter for the BBC and Al Jazeera Television. Her weekly column, ‘The Unveiled Truth’, appears every Wednesday. Indeed. c.f. also the growing tendency to try to stop political prisoners publishing their views, or allegations of mistreatment (known as “Special Administrative Measures” in America; also happens in Britain but without a special name). What’s doubly strange in this case is that the use of the death penalty in occupied Iraq (which I understand is very common) has been accepted globally – the global trend is for abolition, the UN’s pretty much against it, and all the global North except America and Japan have abolished it. I suppose it’s the old story that the rules are different in the colonies. history teaches us so much, so many parallels to today! thank you! Very interesting article, thank you – it’s worth wondering what Tariq Aziz (and indeed Saddam Hussein, and the others) would have written about in their memoirs. One doubts our enlightened Western leaders would have come off very well. Very interesting article, thank you – one doubts our enlightened Western leaders would have come off very well in the memoirs of any of the innumerable stooges they’ve propped up over the decades. Very well written. However, By comparison to hovaida, don’t you feel you are humanizing Tariq aziz who worked under the devil and later tried to make a deal with the devil’s creator himself (who is ironically referred to as God by us silly humans) and who in this context is USA.